I am always a little bit afraid of too great a dominance of Cabernet Franc because this grape delivers a rather inflexible, cold and inelegant experience. 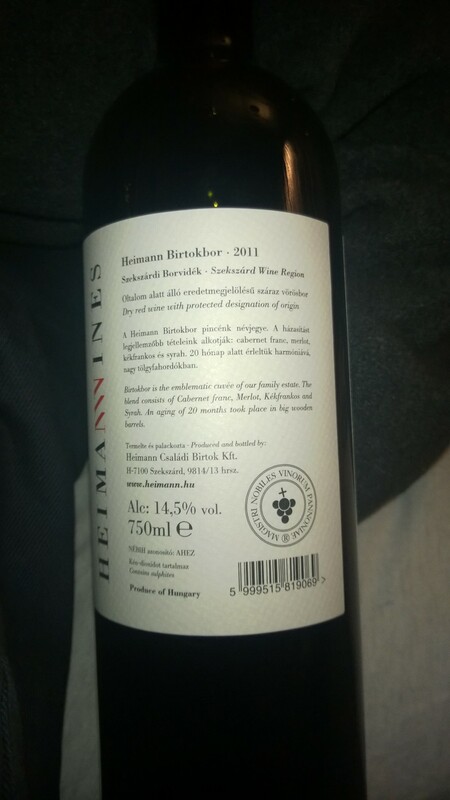 This wine is the exact opposite of this: it is very well-balanced and has a very clear taste. All of the grapes apart from the Cabernet Franc are strong and influential enough to lend this wine a variety of flavors and aromas. 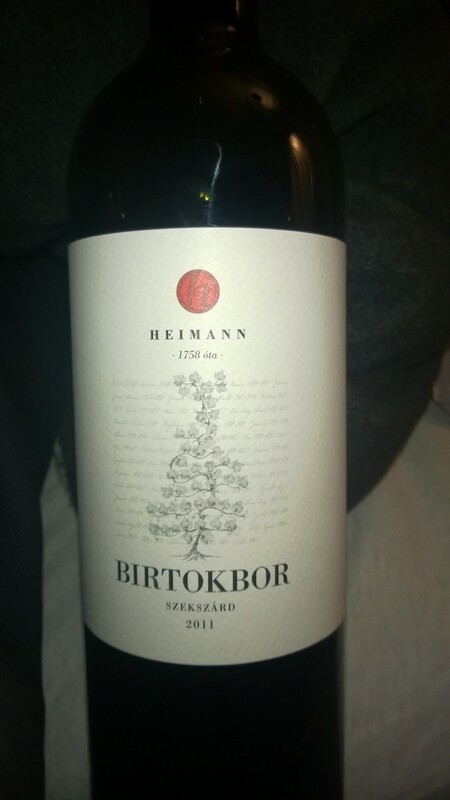 The taste is surprisingly nice, masculine and rich with – let it me call – “northern” flavor of a great wine. It is somehow really dry (due to Merlot I guess), really Hungarian / Austrian because of Carbernet Franc but also because of Kékfrankos. Then the Syrah lends a southern French note. It is really impressive how well the winemakers have combined and assembled real dryness and fruitiness in one wine. Although perhaps ladies would call it a heavy wine, I would prefer to call it uncompromising, in the best sense of the word! This wine will likely improve during the next two or three years. You can drink it now, but it will probably even get a bit better if you store it for some years. The only real disadvantage is the volume of alcohol which is unreasonably high at 14,5%.